During Prohibition the Hawaiian booze called okolehao was distilled from ti plants along this trail that climbs to about 1,300 feet to a peak with a panoramic view of the Hanalei Valley and bay. 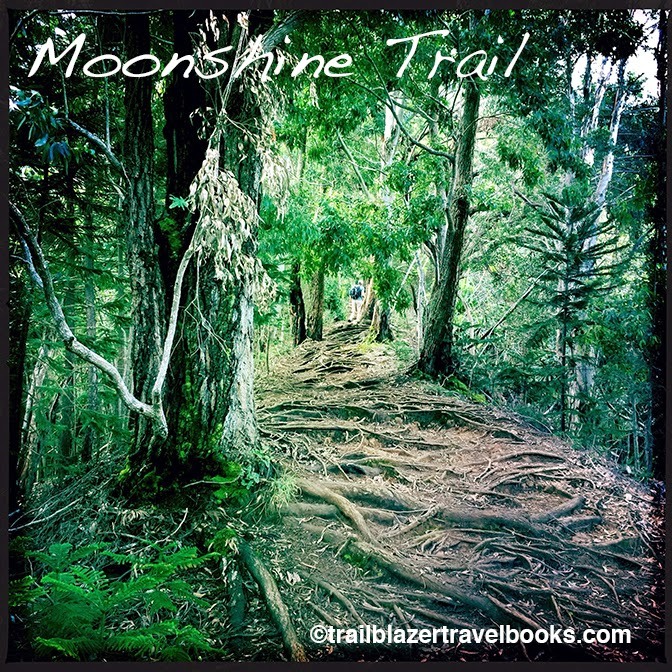 Today the route is the Okolehao Trail into the Halelea Forest Reserve, one of the few places where humans can set foot in the Hanalei National Wildlife Refuge, which is a short scenic drive from the town on the north shore of Kauai. The well-marked trail begins as a road behind a historic Japanese cemetery, but then turns to a chutes-and-ladders ridge trail, less than 5 miles roundtrip, through an arboretum of Norfolk pines, ti, strawberry guava, and a thick mat of other tropical flora. From the top (you have to make sure to double-back and even drop a little to reach the actual summit) is also a point-blank look at the twin-spiked peak of Hihimanu, which means 'manta ray' in Hawaiian, but will remind some of Batman. The hike is not dangerous, though hands are required in spots near the top, and a hiking pole will help a lot on the slick-surfaces, especially on the descent. See Kauai Trailblazer pages 39 and 40 for more details.